In October last year my friend Nat devastatingly lost her youngest son. 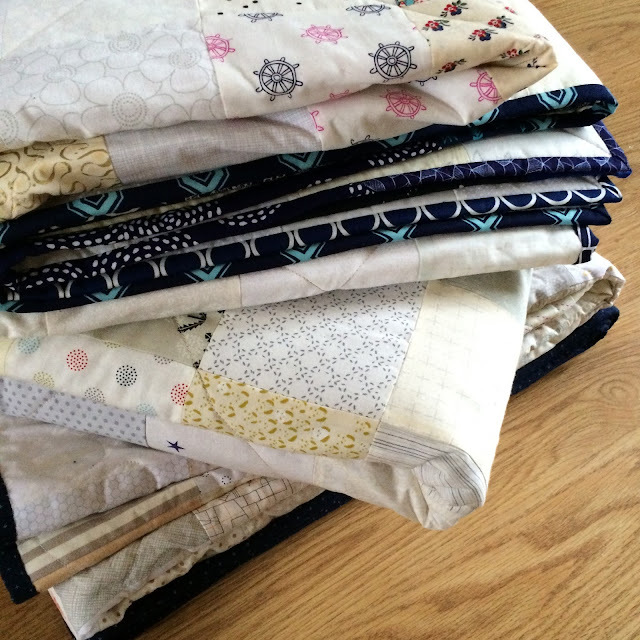 I did as quilters do and reached out to our amazing community to ask for low volume nine patch blocks. 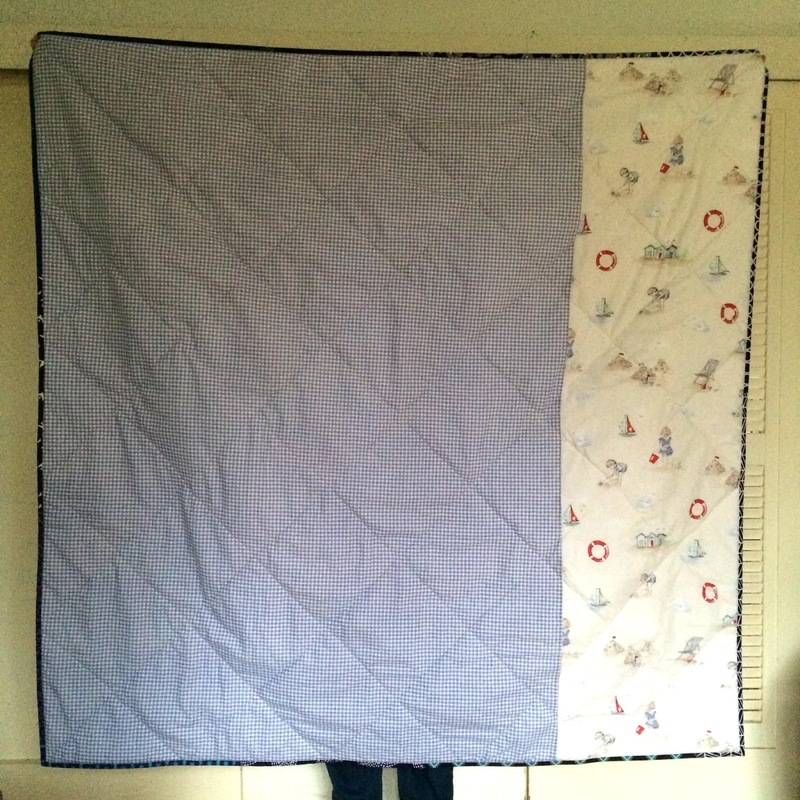 I wanted to make her family a quilt to comfort them and wrap them up in our love. There were so many packages arriving I felt I had to explain to my postman and asked him to treat them with care. 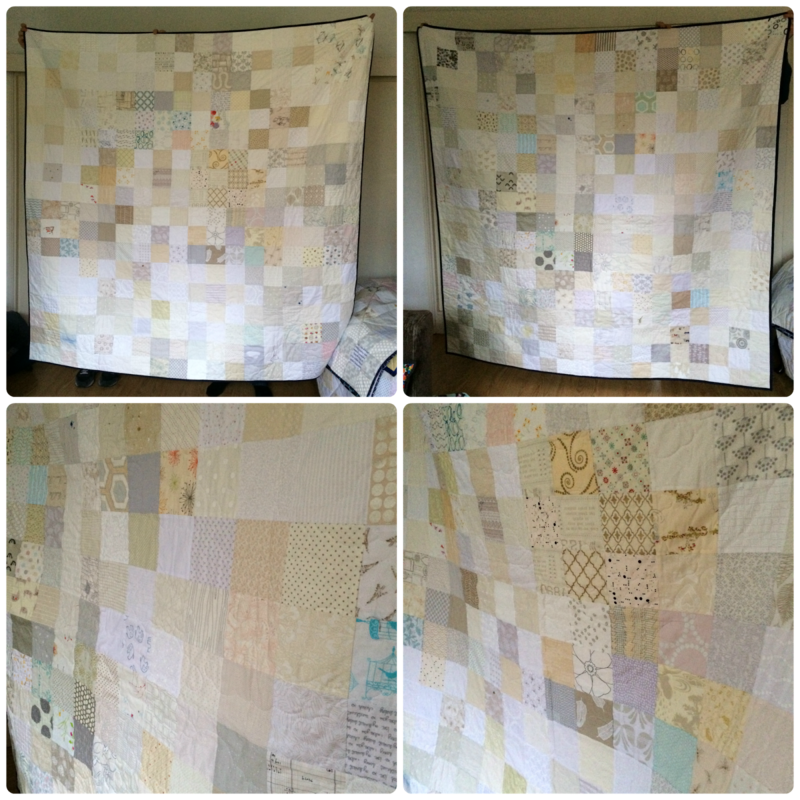 The generosity of everyone meant that I was able to make three quilts from the blocks, with the other two going to Nat's parents and her husband's parents. Grandparents play such an important role it feels meaningful to be able to acknowledge them and their grief in this way. 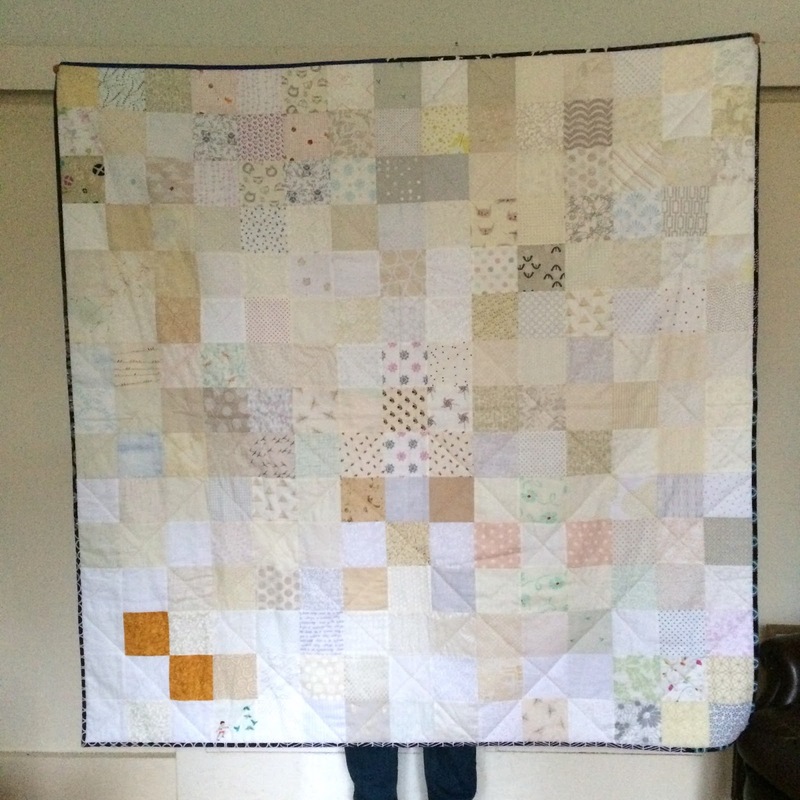 On Sunday I was able to meet up with Nat and give her the quilts, along with all the cards you asked me to pass on and a card with everyone's name that contributed. There are no words to say in the face of such sadness but the actions of you all says so much. Thank you to everyone that was able to contribute a block, for all your touching notes of support for Nat and encouragement for me in what was an emotional project. I was able to create a double sided quilt for Nat and her family. 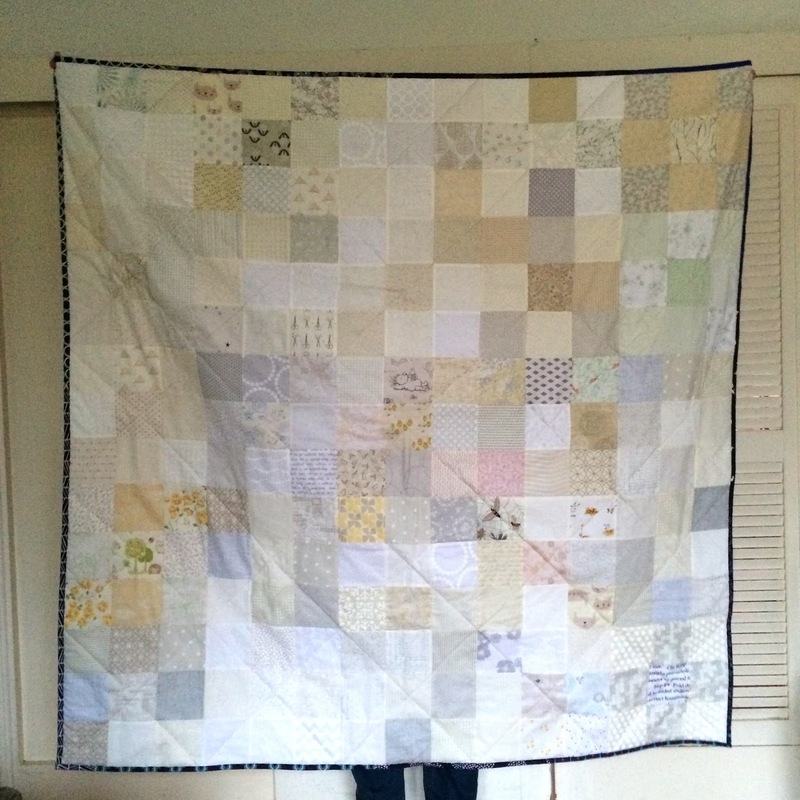 It was quilted at my work, by long arm quilter Alison of Quilting For Bees. 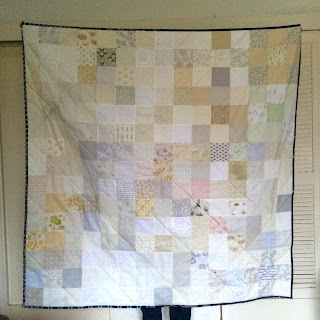 She kindly taught me how to use the machine and do some of the work. 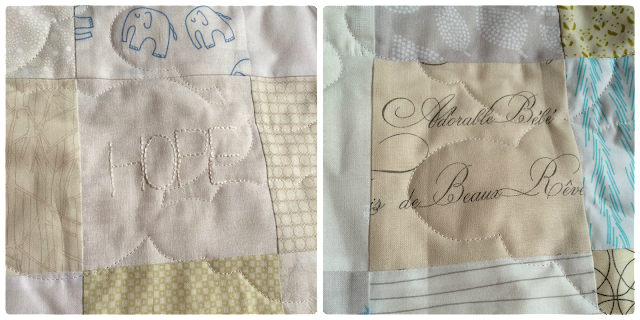 I chose a cloud pattern, it felt calming and peaceful and worked well with the neutral palette of the quilt. 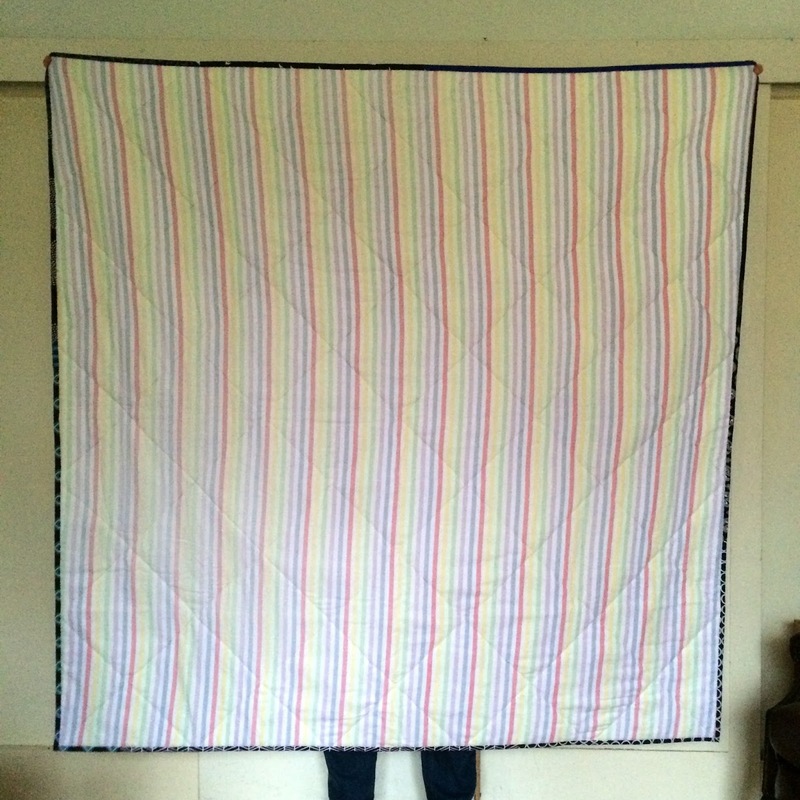 The second quilt was quilted on my home machine, simple straight line quilting in a large cross hatch. I used a vintage flannel sheet to back this one. 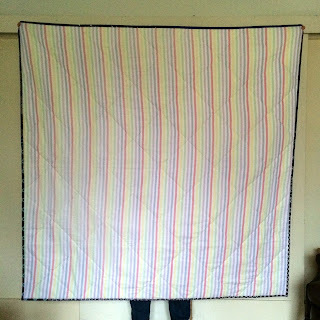 The third quilt was quilted in the same way and the backing is a single duvet, which I cut up one side to avoid piecing. I also think the pattern on this one works nicely. I am truly grateful to everyone for helping me support my friend and her family. I know Nat felt the overwhelming love you have sent her. 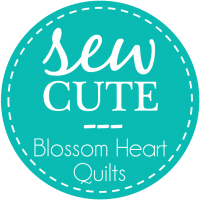 Special thanks to Justine and Lisa of Simply Solids, Lisa of In The Boon Docks, Kelly of Jeli Quilts, Sarah of Narcoleptic in the Cupboard and Helen of Midget Gem Quilts for your generous helping hands. It is hard to see all the blocks but each and every one is beautiful. 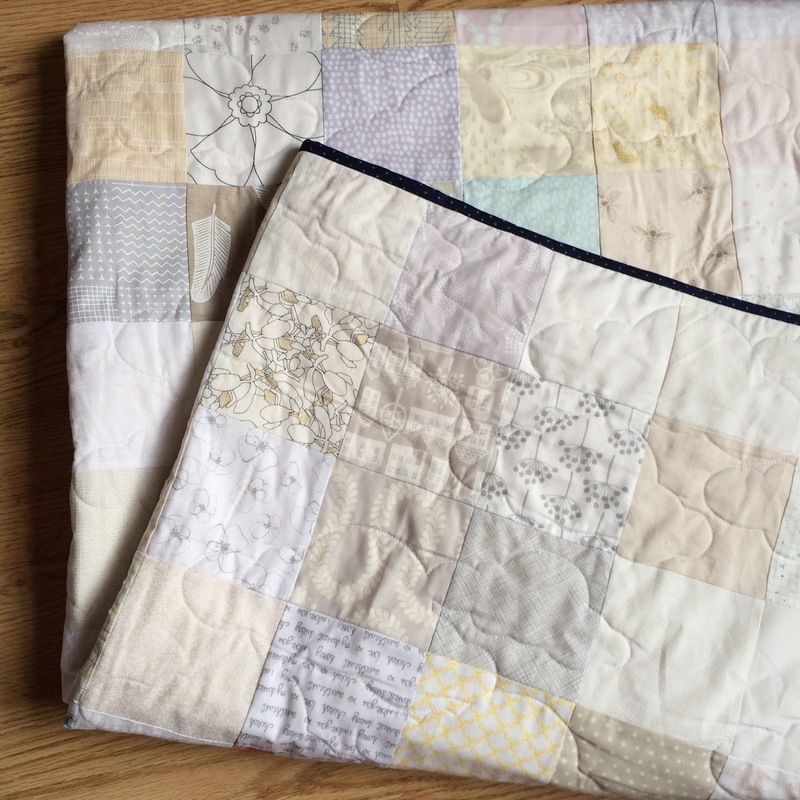 People put so much thought into the fabrics choices and there are some lovely fussy cuts, fitting text fabric and prints. As I was hand sewing the binding on I kept noticing elements I hadn't seen before and I really felt the care and grace of the designs. Thank you for being part of #therearenowordsquilt. ♡ What a beautiful gift! They turned out so beautifully! What a lovely generous thing for you to do, Lucy. I was so happy to contribute to it. They are all beautiful. As Sarah said, thank you for giving us a way to help. Thank you Lucy for not only co-ordinating this project, but for also sharing our love with Nat! I hope the quilts bring some comfort to all the recipients! I love the double sided one! I hope Nat and her family find some comfort knowing that people around the world were thinking of them. And Lucy, thank YOU for your thoughtfulness and hard work in making this become a reality. There really are no words, Lucy. Either for the grief or for your very generous gift. Including the grandparents was truly wonderful, too. They are all so precious.